All puppies offered for sale are done so through our Facebook page. Fully DNA Profiled which includes being Tested for Collie Eye Anomaly(CEA), Degenerative Myelopathy (DM)& Ivermectin sensitivity (MDR1)& Parentage Guaranteed. As responsible breeders all our puppies sold to companion homes are desexed prior to leaving our home We do this as to not contribute to the unwanted dog population, if you do not wish for your puppy to be desexed please do not contact us. Please note we do not have a waiting list, we take expressions of interest in our puppies at 6 weeks. 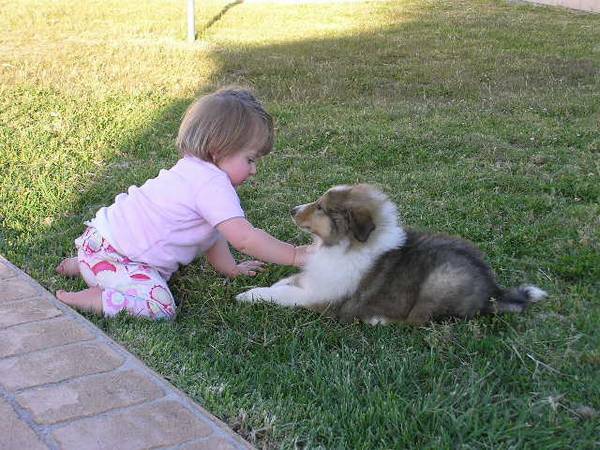 Tyronelea Collies are raised in a loving family home.